Foreign investors are starting to take a more sanguine view of the political risk in Catalonia, whilst local demand appears unperturbed by the independence drive. When the Catalan constitutional crisis exploded back in October last year it set in motion months of political instability and bad news including images of violence and thousands of companies abandoning the region. I assumed this would lead to economic worries reducing local demand for housing, and political risk concerns reducing foreign demand for property in Catalonia, and especially Barcelona. However, the data available so far doesn’t confirm my fears. I’ve been comparing sales volumes in Barcelona and Madrid since the crisis erupted, using housing transaction data from the National Institute of Statistics, and was expecting recorded sales in Barcelona province to fall on both a monthly and year-on-year basis in November, in line with a trend that started back in June when the trend in Barcelona and Madrid started to diverge, I assume because home buyers in Barcelona were starting to get jittery about the politics. 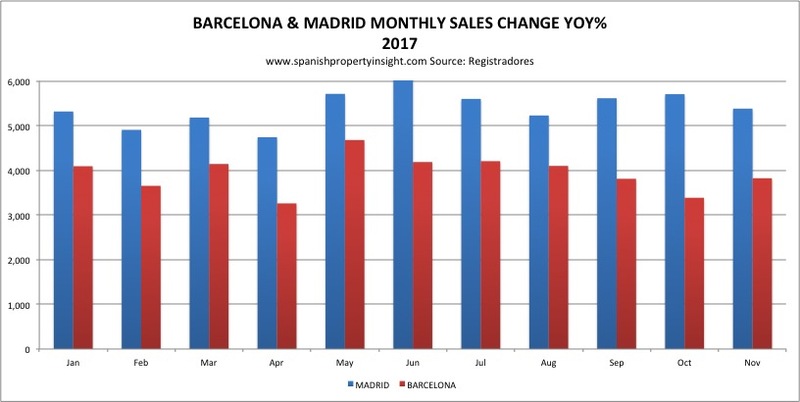 But in November, Barcelona housing sales figures inscribed in the Land Registry actually bounced back, as you can see from the following two charts. Keeping in mind that these figures are based on sales inscribed in the Land Register a couple of months after completion, it’s possible that the time lag is to blame. Perhaps the December figures will deliver the drop I was expecting. We won’t have to wait long to find out. To get a better idea of how the Catalan independence drive is affecting the property market in Barcelona I asked François Carriere, CEO of the estate agents Coldwell Banker in Spain and Andorra, for his perspective on demand for property in Barcelona since the beginning of October last year. François has decades of experience in the Barcelona property market, and below you can read his answers to the questions I sent him. 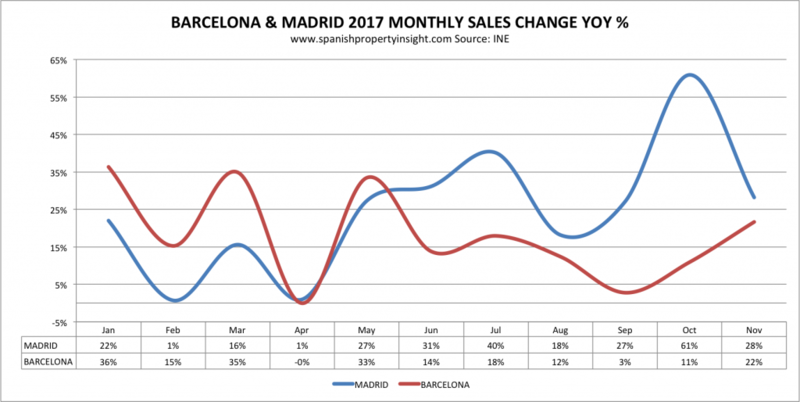 François reports that, after the initial shock, foreign investors are recovering their appetite for property in Barcelona. How has demand in Barcelona changed since the referendum? During the last quarter of 2017 we suffered a tremendous decrease in leads, national and international but mostly foreign demand. In some channels we suffered up to 80 % decrease in leads. Some deals under contract have also been canceled due to the political uncertainty and investor worries that Catalunya might leave Spain. Have you noticed any impact on property demand outside of Catalonia? How do you expect foreign demand for property in Barcelona to evolve this year? It all depends on how the politics evolves. What we have noticed so far this year is that leads are coming back strongly. 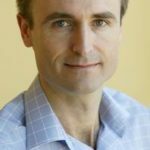 Foreign investors are coming to the conclusion that a constitutional solution will be found, and uncertainty is diminishing, so they are coming back to the market. Has the independence drive had any impact on house prices in Barcelona? We have heard many claims about this, but the fact is the crisis has been dramatic but short lived, so we really don’t have any data on the impact on house prices to draw reliable conclusions. We have seen prices decrease in some cases, but generally only where properties were over-priced anyway. Generally speaking prices would have probably continued rising as they did throughout 2017, had the crisis not happened and stabilised prices.